Scientists from AOML's Ocean Chemistry and Ecosystems Division participated in a number of research cruises, conferences, and provided substantial scientific support for NOAA's response to the Deepwater Horizon oil spill. The Division also supplied instrumentation for NOAA vessels, quality control for Winkler titrations needed to calibrate oxygen sensors, and contributed to studies of oil distribution in beach and coral reef regions of Florida. 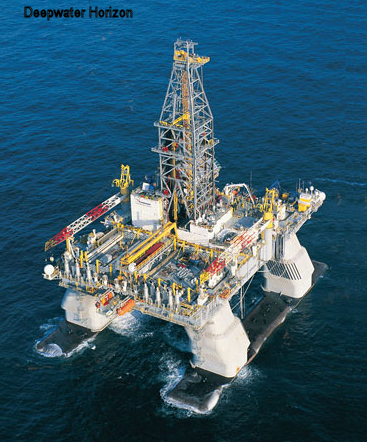 Additional AOML Deepwater Horizon activities are detailed here . Mr. Michael Shoemaker of the Ocean Chemistry and Ecosystems Division acted as trustee on the Natural Resource Damage Assessment (NRDA) Sediment Study Cruise aboard the R/V Gyre, September 14 - September 29, 2010. Working with colleagues from EPA, NOAA-ORR, the University of South Florida, Louisiana State University, Canada's Dept. of Fisheries and Oceans, the Alliance for Coastal Technology, Dalhousie University, the Oil Spill Recovery Institute, and several corporations, former Ocean Chemistry and Ecosystems Director Michelle Wood organized a study at DFO's Center for Offshore Oil and Gas Energy Research to evaluate the sensitivity and linearity of response for different flourometers used to detect subsurface oil during the Deepwater Horizon event. Chris Kelble from AOML also participated in the study, and Shailer Cummings provided technical support. Mr. Charles Featherstone of the Ocean Chemistry and Ecosystems Division participated in a study of oil-beach interactions with Dr. Ping Wang, University of South Florida on beaches in northern Florida and Alabama. Mr. Featherstone provided the technical expertise needed to operate AOML's profiling fluorometer for detecting oil in sediment cores. Dr. Denis Pierrot, Mr. George Berberian, and Mr. Robert Castle of the Ocean Chemistry and Ecosystems Division travelled to Key West, Florida, Port Fourchon, Louisiana, and Pascagoula, Mississippi to deliver equipment and train technicians to perform shipboard sampling and analyses. The ship's serviced included the NOAA Ships Henry Bigelow and Pisces and the BP charter vessels Ocean Veritas and Brooks McCall. Ryan, J.P., Y. Zhang, H. Thomas, E.V. Reinecker, R.K. Nelson, and S.R. Cummings. A High-resolution Survey of a Deep Hydrocarbon Plume in the Gulf of Mexico during the 2010 Macondo Blowout. Monitoring and Modelling the Deepwater Horizon Oil Spill, pp. 63-67, 2011. Ed. by Y. Liu, A. MacFadyen, J-G. Ji and R.H. Weisburg. American Geophysical Union. Shay, L.K., B. Jaimes, J.K. Brewster, P. Meyers, E. Claire Caskill, E. Uhlhorn, F. Marks, G.R. Halliwell, O.M. Smedstad, and P. Hogan. Airborn Ocean Surveys of the Loop Current Complex from NOAA WP-3D in Support of the Deepwater Horizon Oil Spill. Monitoring and Modelling the Deepwater Horizon Oil Spill, pp. 131-152, 2011. Ed. by Y. Liu, A. MacFadyen, J-G. Ji and R.H. Weisburg. American Geophysical Union. Atwood, D. K., F. J. Burton, J. E. Corredor, G. R. Harvey, A. J. Mata-Jimenez, A. Vasquez-Botello, and B. A. Wade. Results of the CARIPOL Petroleum Pollution Monitoring Project in the Wider Caribbean. Marine Pollution Bulletin, Vol. 18 (10), 540-548, 1987. Atwood, D. K., H. H. Cummings, W. J. Nodal, and R. Culbertson. The CARIPOL Petroleum Monitoring Project and the CARIPOL Petroleum Pollution Database. Caribbean Journal of Science, Vol. 23 (1), 1-3, 1987. Atwood, D. K. and S. Dinkel-McKay. 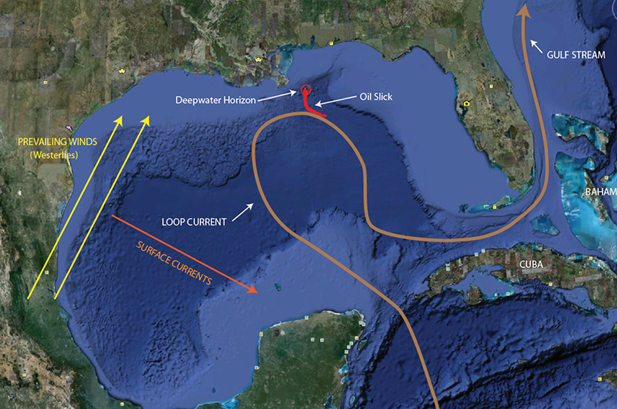 Floating Tar and Disssolved Dispersed Petroleum Hydrocarbons in the Northern Gulf of Mexico and the Straits of Florida. Caribbean Journal of Science, Vol. 23 (1), 73-76, 1987. Atwood, D. K. and R. L. Ferguson. 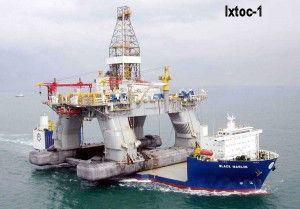 An Example Study of the Weathering of Spilled Petroleum in a Tropical Marine Environment: Ixtoc-1. Bulletin of Marine Science, 32(1): 1-13, 1982. Romero, G. C., G. R. Harvey and D. K. Atwood. Stranded Tar on Florida Beaches: September 1979 - October 1980. Marine Pollution Bulletin, Vol. 12 (8), 280-284, 1981. Harvey, G. R., A. G. Requejo, P. A. McGillivary, and J. M. Tokar. Observation of a Subsurface Oil-Rich Layer in the Open Ocean. Science, Vol. 205 (4410), 999-1001, 1979.